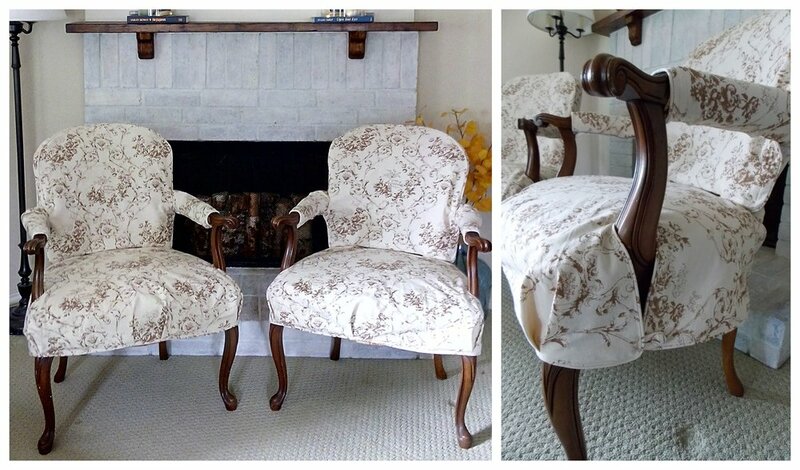 This pair of French-style chairs are updated with classic brown toile slipcovers. Trimmed with micro-welt and self-c0vered buttons, these can be viewed at Vintage Bleu in downtown Denton. They are available as a pair or individually.